The “Wild Things” are Here! One of my all-time favorite children’s authors is Maurice Sendak … I have spent hours reading his books to my 2 boys and everyone knows his iconic “Wild Things” from the book Where The Wild Things Are”. I was looking for something to re-energize my second graders and this was the thing to do it! 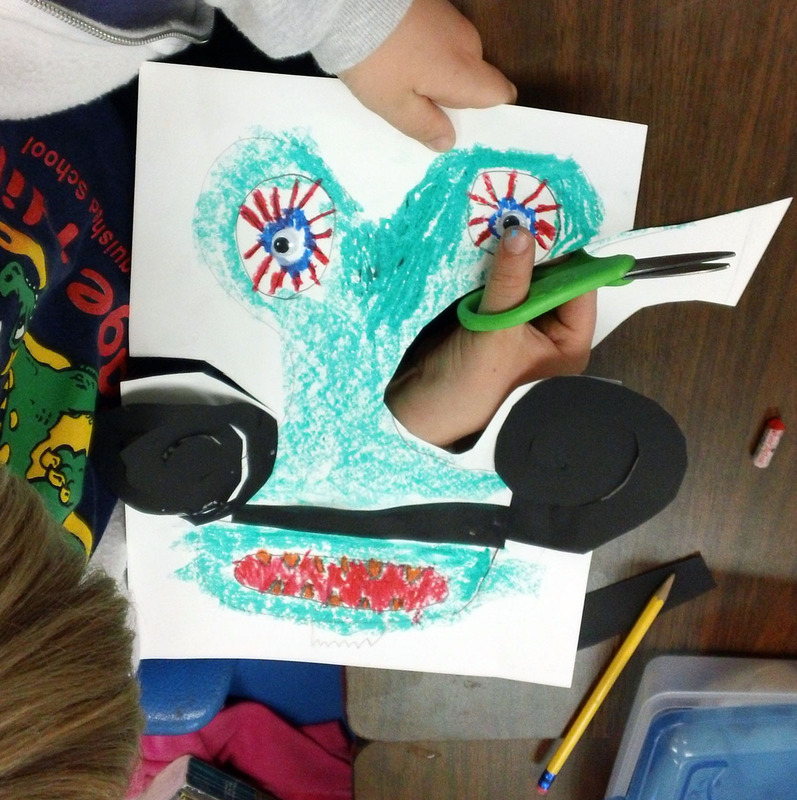 We had a blast making our Wild Things Masks! Since all of the “Wild Things” in the book were based on real-life characters in Mr. Sendak’s book, I asked students to think about the personalities in their lives and create their Wild Thing around them. I’m pretty sure that there was some embellishing of characters, but isn’t that what artistic license is all about?! Starting with tag paper, students drew a large head that took up most of the paper. Sendak’s characters were all bigger than life, physically and in personality. The shape of the head was at the discretion of the student. I gave them templates to help make big eyes, as all of the features in Sendak’s characters were large too. 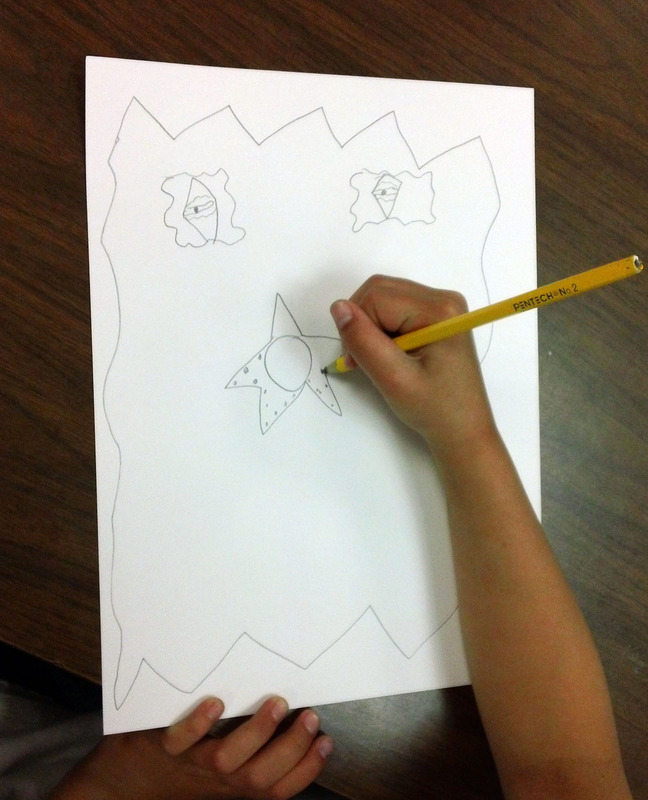 We talked about dimension and how that means there is something that pops off the paper. I was expecting that at least one feature on their mask was going to pop off, giving some dimension to their character and making it more life-like. Students are familiar with manipulating paper from first grade projects and it all came back … accordions, corkscrews, twisting paper, cutting a tab to make the horns stand out etc. Using pastels, students colored like mad. Everything had to have color! Then they got down to the fun of putting dimension on their mask … a tongue sticking out, jagged teeth, horns, hair, a beak – you name it, we had it. It was wonderful! 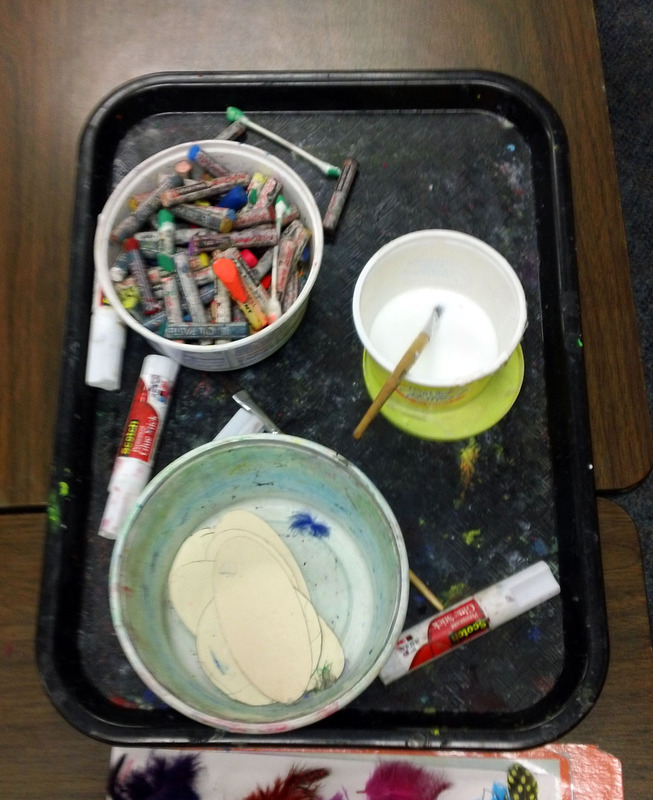 After all the dimension was put on, students were given googly eyes and feathers. I hold these myself took help keep things under control … especially the feathers! If there was time … students then cut out their mask! 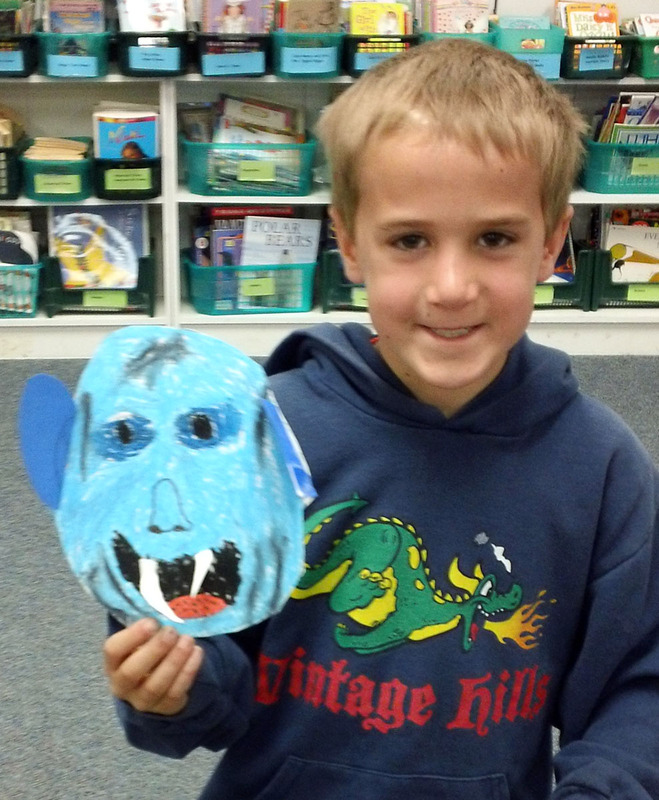 I think Maurice Sendak would be proud of all imagination and creativity that went into our Wild Things!